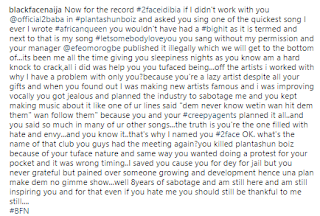 Blackface is serving drama on his Instagram account by dredging up the old rift between him and former group mate, Tuface Idibia. 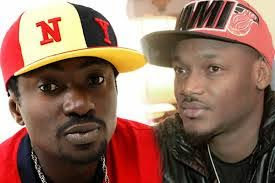 The Ahead of The Game crooner called out Tuface, accused him of a number of things, and said that Tuface would never have had a big hit had he not used songs written by him. He went on to accuse Tuface of taking his songs without his permission, calling him a "tufaced being" a "lazy artist despite all your gifts". He also brought up the issue of the protest which Tuface had planned to support earlier in the year. 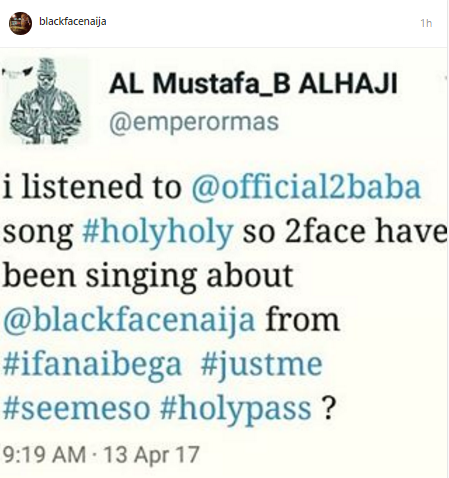 Blackface, in his rant, accused Tuface of carrying out the protest for selfish reasons, with the ultimate aim of lining his pocket. 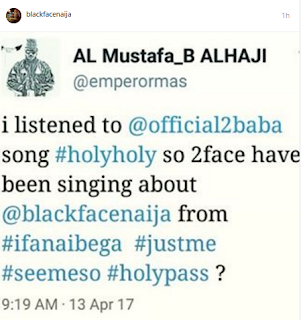 The call out started after @emperormas tweeted that Tuface has been singing about Blackface in all his songs. 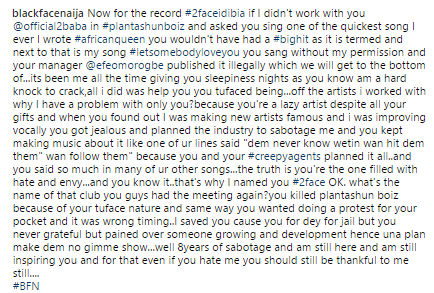 Blackface obviously agreed with this because he shared a screenshot on his page and in the caption he called Tuface names and accused him of sabotage.